Tourism chiefs in the Philippines want to put their faith to the test by using religion to attract more visitors to Southeast Asia's most predominant Catholic nation. Citing the diverse religious and cultural heritage of the country, the Department of Tourism is confident of creating a religious tourism niche in the region. "The Philippines is an ideal destination for religious pilgrimage ... for visitors to experience religious traditions that date back centuries," Tourism Secretary Wanda Corazon Tulfo-Teo said recently. She said the government plans to make the country a destination "with unique spiritual significance" that can attract pilgrims from around the world. Teo noted that there are millions of Catholics in Asia — a big market for "faith-based tourism" in the Philippines. In South Korea, the Philippines' top tourist market, there are five million Catholics while Malaysia has 800,000; Japan, 500,000; Thailand, 200,000, and 185,000 in Singapore. In the last three weeks, three major religious events attracted millions of local and foreign tourists to Manila, Cebu, and Aklan province. An estimate 18 million people flocked to Manila to witness the annual Feast of the Black Nazarene on Jan. 9. 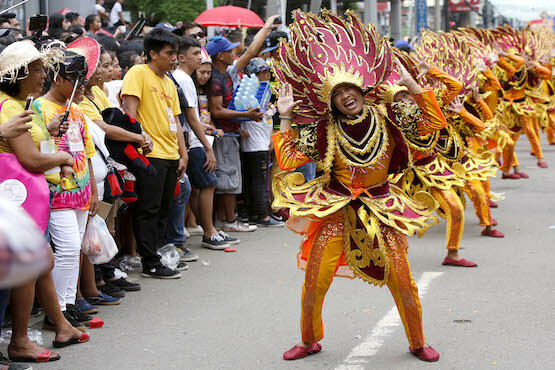 In Cebu and Aklan provinces in the central Philippines, more than a million devotees danced in the streets to honor the Child Jesus last week. Teo said religious festivals always draw international visitors, especially those wanting to witness the piety and devotion of Filipinos. She said her office wants to restore and develop historical shrines and churches all over the country to attract more tourists. The project will be part of preparations to commemorate the 500th anniversary in 2021 of the arrival of Christianity in the Philippines. Foreign tourists from January to October last year reached 5.5 million, up 12 percent from 4.9 million on the same period in 2016.